A young dynamic multicultural team is looking for another unique person to join our watersport station in a small coast town at the Red Sea in Egypt. We are a team of Germans, French & Egyptians all between 20 and 37 years old and soon a new born will join the team. We are looking for a motivated candidate, who loves riding and is passionate about teaching. Good teaching conditions (low wind &flat water in the morning and afternoon) & perfect wind conditions for own pleasure rides! An international atmosphere among staff and clients (most clients are German, French, Swiss, Austrian & Egyptian). 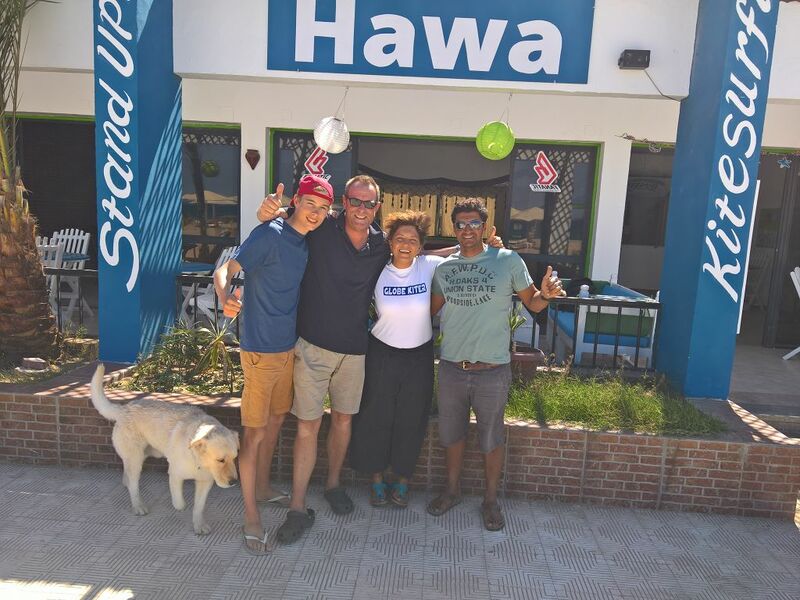 We have a German & a French Kitesurf instructor with us now who will be back next season! We can put you in touch with them for a chat! OWN private Studio-apartment within 10 minutes walking distance from the station (upon request & free of charge, it can be cleaned weekly or monthly) OR your own room in a shared flat with other Instructors. To apply please send a CV and details at info@hawasafaga.com and we can have a chat for more info! Please note that we are exclusively looking for a German & English speaking Instructor to support our team, no Head Instructor or Station manager needed, thanks. Please apply only if you are available for the whole period from April to November 2019. If you would like to join the team earlier than that and you are flexibile regarding your tasks, we can work something out! ***Looking for a French speaking IKO Instructor from April to Nov 18*** Safaga/Soma Bay, Red Sea, Egypt.